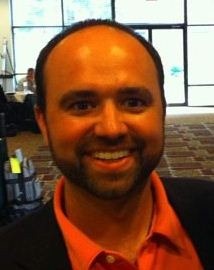 Joe Pulizzi is the Founder of Z Squared Media, a content marketing firm specializing in best practices, strategy, and execution planning. Joe’s blog, the Junta42 blog: Content Marketing Revolution, is recognized as one of the leading blogs on business content creation, marketing and distribution. Joe currently serves as a board member of the Custom Publishing Council and was voted as the “Custom Media Innovator of the Year” by American Business Media. Joe is also co-author of the book “Get Content. Get Customers”. You can follow Joe on Twitter or Linkedin. J: As I launched a series of businesses, it was clear that leveraging social media was going to be one of the keys to growing our brands without the availability of a large budget. Social media evens the playing field. I blog at least twice a week and have for almost four years. I share interesting stories on Twitter. I connect with friends and colleagues on Facebook. I answer questions on relevant groups in Linkedin. Consistency is important. For business, I need to be talking up or sharing something related to my field (content marketing) at all times. I want my friends/fans/followers to always feel they can trust me sending them the best, most relevant and compelling content about the industry. J: We keep a Top 42 list of content marketing blogs and regularly follow them. These are, in our research, the best of the best…so we learn a lot from them to keep up with the industry. I also set up search criteria in Twitter so that any related tweets pop up first in Tweetdeck so I can check them out. J: Honestly, I’ve never really considered the term before. I guess I would define it as this – a Social Media Citizen is someone who adds relevant, compelling information to a conversation, and genuinely helps and affects others in a positive way. J: There is only one in my opinion…it’s that the key to social media success is having a consistent, relevant and valuable message to a targeted group of people. Without having a story to share, why would anyone want to connect with you. First, focus on who you are targeting and what their pain points are. Then deliver valuable information to them on a daily basis. It works. 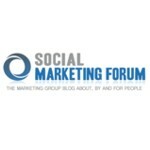 J: In the future, social media will be called simply marketing. It is a part of how we connect with customers. More tools will be developed that enable us to have more conversation with customers. J: Spending time with my wife and two boys. J: You can’t turn it off. J: My first international speaking engagement came from a direct message on Twitter. Who knew? G: How did social media change your life? J: Social media integration has been a key to the success of our business. I’m not sure how we’d be where we are without it. It’s also enabled me, personally, to connect with people that I never would have had the opportunity to connect with.